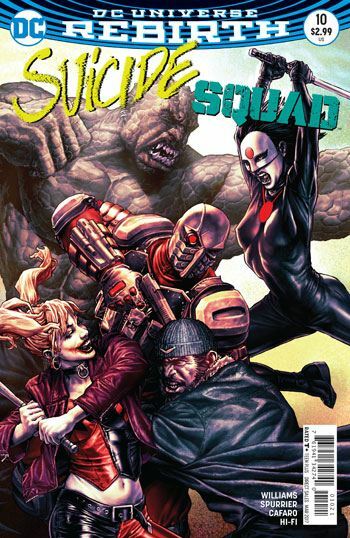 Suicide Squad 10 serves as an epilogue to the Justice League vs Suicide Squad miniseries. It brings back Rustam, a former member of the Squad and avowed enemy of Amanda Waller, whose plan for revenge is subtler and more devious than expected. The art on the story is ok. Not quite up to par for the series, but not bad. It does not in any way detract from what turns out to be a very powerful tale. We get to see Amanda Waller’s family in this story, the children she has grown so distant from during her time with the government. We discover the lies she has told them to keep them safe, and see the almost absurd extremes she will go to in order to keep them that way. This is a dark story, but one that gets into the darkness that can grow within a family, even when all the people still care for each other. 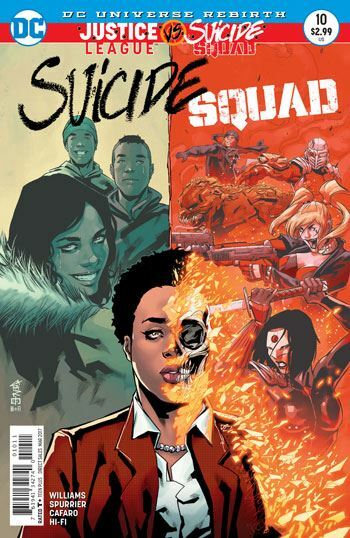 So it’s different than most Suicide Squad tales, but hits many of the same emotional points. And the total downer ending does function exceptionally well as a coda to the miniseries. Amanda Waller always wins. No matter what the cost.